How to bid on Yahoo Auction ? This is your Buy-Nippon user's guide. Here, we provide you with the tricks, tips, and info to make your buying experience as enjoyable and trouble free as possible while using our service. 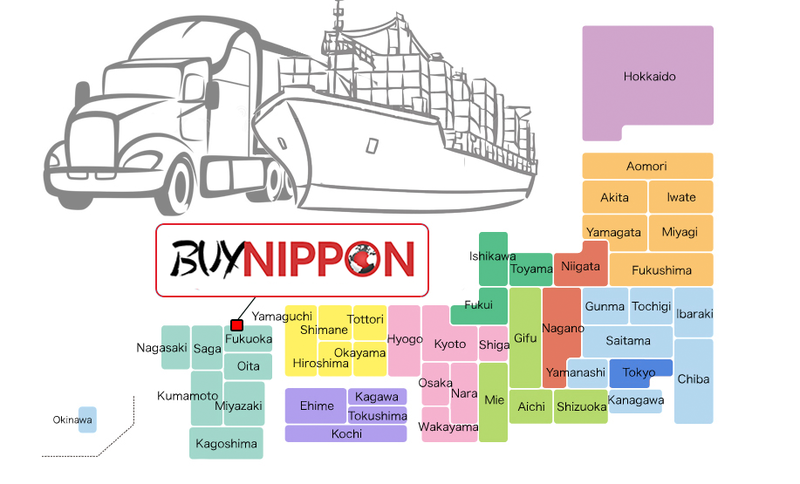 Buy-Nippon is a service that helps you purchase from Japanese websites. We are not a shop or a selling platform.. We do not own the items you see on our website. Accordingly, the use of our service requires a full understanding of the principles described in below. Most items can be shipped via the main post office, Japan Post. Even so, Japan Post has some restrictions that we must adhere to. Certain items will incur extra costs due to their type, weight, and/or size, while other items are absolutely prohibited. For your convenience, we've put together a partial 'Forbidden Items' list, which can be found below. If your budget and your means allow it, we offer FedEx shipping (they have more flexible rules). We can even reserve a container (for the professional buying a large volume of items that is quantifiable in cubic meters). As a rule, consider cancellations impossible. We realize that this policy seems strict, especially in contrast with those of Western sites such as PayPal or other sales platforms that have built-in litigation systems. Sellers in Japan generally do not allow cancellations. The images you see attached to an item are not necessarily accurate, especially on private buyer/seller platforms. It's typically the item description that will tell you the most about the condition of the product you're thinking to buy. No intervention from sales sites in case of a dispute. Transactions are based on mutual trust between the buyer and the seller, and platforms will not intervene. They often will simply instruct you to take the matter directly to the courts or other relevant authorities. If possible, buy from the same seller. This will make it possible for us to request those items to be grouped together (while being shipped to our storage facility), thus saving you money on intra-Japan shipping costs. Keep in mind, however, that not all sellers will accomodate this request as they are not required to do so. Buy from vendors near our location (Fukuoka Prefecture). You'll save on intra-Japan shipping costs if you buy from a nearby prefecture and avoid items from distant places like Hokkaido or Okinawa. Purchase in bulk rather than in small quantities to lower the price of service fees. In the same vein, bidding on many low-priced items may seem profitable at first, but remember that each separate auction item carries its own intra-Japan shipping fee. When it's time to ship your items, you can designate the value of the contents of the package for insurance in case of loss or damage. This is this same value that is taken into account by customs when calculating your potential import taxes. You can ask us to create a "Small Package" when you're ready to ship (if your item(s) qualify). Small packages naturally cost less to ship internationally. More details here. All packages may be the subject of an investigation in case of loss / damage / delay during transport. To open an investigation, send us a request at support@neokyo.com, including your username and all necessary details about the package in question. It is possible to make special comments or requests before we prepare your package for shipping : extra protection such as double packaging, special arrangement of the items inside the package, and so on. These requests may incur additional costs depending on the time and resources that will be required to fulfill them. We will let you know beforehand if this is the case. Shipping by boat is not recommended for fragile products, even if we have used double packaging or other extra protection to safeguard the item. Buy-Nippon is an intermediary service (also called deputy service) for your purchases in Japan. The time is 17:11 in Japan. copyright @ 2016 Buy-Nippon.com All rights reserved.